Seems Mark Wingfield loves to keep himself busy. So here is his next release on Moonjune. Joining him are the familiar faces of Yaron Stavi (bass), Asaf Sirkis (drums) and special guest Dominique Vantomme (keyboard solos on several tracks). Alas the recently discussed Dwiki Dharmawan album (also from Moonjune, and same rhythm section) did not do much for me. Thankfully this one is a lot easier to get into. Here songs do have structures and hooks I recognize after a few plays, making my listening a much more pleasant experience. Mark has a very fluid style, vaguely reminiscent of one Jeff Beck. But there is room for all involved to shine. Because we all know these are experienced musicians whose playing capabilities are beyond any doubt. So besides the intricate solo (and rhythm) parts of Wingfield, there are also some expert bass playing and drumming parts to enjoy. What also helps is that most songs range between 5 to 8 minutes, staying away from endless improvisation. Still, at least for me, the most important part is that the tracks resonate with me after a couple of plays. The moods are often a bit melancholic, with Mark’s guitar really ‘singing’. Try for instance Sunlight Cafe. Maybe not for everyone, even when they like instrumental guitar music. But sure worth checking if you have an open mind! Again it is not a case of production or musicianship. Moonjune always takes good care of either aspect. For me, no matter how often I listen to the album, I just cannot seem to find a connection with it. Some songs just seem to linger on, others lack any hook or theme. At least in my ears. A combination of Eastern influences with Western music can be exciting or at least interesting. This goes by and does not stick. So I guess the moment has come that I have to confess this is just too abstract for me. At least at this moment. Is it a matter of wrong place / wrong time? That is in the future. For now this is not an album that I will revisit anytime soon. Sorry! Try it out for yourself to find out what you think of it. Ah, another Moonjune Records release. And featuring none other than the mighty Tony Levin (King Crimson, Peter Gabriel, Stick Men) on bass! Vantomme is the project led by Dominique Vantomme (keyboards, Ana Popovic, Vaya Con Dios, Viktor Lazlo)) who wrote all the songs/ jams that Tony contributed to, together with Michel Delville on guitar (The Wrong Object, Machine Mass) and Maxine Lenssens on drums. Now this introduction should tell you a couple of things. First, yes it is instrumental and probably falls into the jazz / fusion category. Yes, this music takes time to digest as most of the themes incorporated in the songs will not show themselves in the first (few) rounds. Still, some songs do have a fairly quick impact, like opener Double Down or the haunting Sizzup. Other songs remind of the soundscapes King Crimson do. Something Levin is of course very familiar with. Guys like this are ace players, capable of taking everything that is thrown at them into their own hands and turn it into something special. Yet in all honesty, the result is not always easy on the ears. So people expecting straight forward songs should be beware that this might disappoint them. For the adventurous amongst us, this is a discovery that will last you a long time. And not only for funny song titles likes The Self Licking Ice-cream Cone! 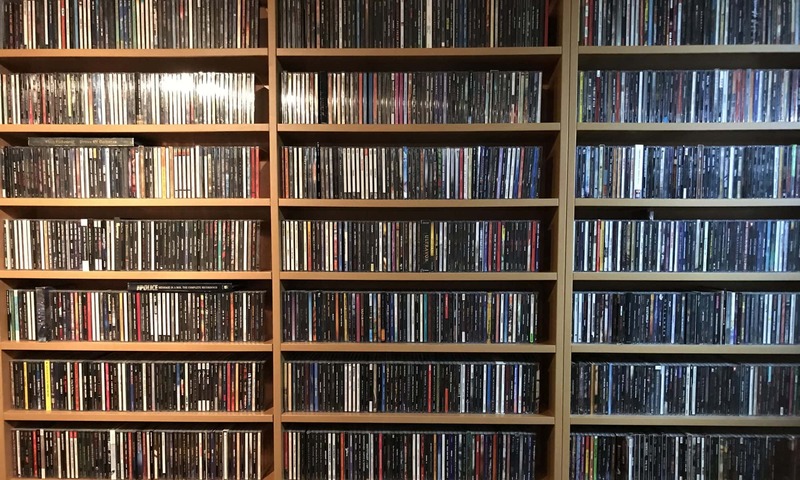 One of the best things about doing this is that you get to hear a wide variety of music. And since variety is the spice of life, this album is been making quite a few rounds in my CD player lately. The 19 year young Dawson Routledge is a fairly new name on the scene, delivering his first official album here, the 9 track album Monsters. Probably best described as a mix of soft rock, pop, jazz and folk, Monsters has turned out to be quite the laid back affair. But of the kind that grabs you with an unique voice, clever lyrics and a delivery that is beyond Rutledge’s years. Sometimes a song starts with a hook that makes you wonder if you have heard it before, but in the end this is all original. The overall sound is warm and does justice to the songs that are carried by their pop sensibilities and folky arrangements. It is clear that he is serious about his craft, especially since his picking skills are on par with his vocals. And the subtle rhythmic changes are often the icing on the cake. Personal favourites are When Life Gives You Monsters and Heavy Heart, but there are enough choices to please many. This is a re-release of an album that has long been out of print. It is also a fresh remaster, albeit with original art. And of course, I should not need to introduce the man! What you get on this album are 22 tracks in a total playing time of some 62 minutes. Most of it is Keith (R.I.P.) playing piano, while on a couple of tracks he is accompanied by drums and bass. There are also a couple of live tracks. And all this serves testament to the legacy of Emerson. A virtuoso, at home in and famous for progressive rock with Emerson Lake and Palmer, but also active in film music, in jazz, boogie, you name it. Since the centre of this is him playing piano, you should not expect wild progressive pieces. This is much more delicate and sometimes jazzy or bluesy, yet all done with flawless taste and impeccable execution. Thank you Keith Emerson for your music, and thank you Emerson Estate for making this possible. I guess the cover art and the title says it all really. Yet if you know that the album is out on Moonjune Records, you might also suspect that this will not be a regular covers album. And you would be spot on with that assumption. Machine Mass is a trio consisting of Michel Delville on guitar, samples. loops and electronics, Tony Bianco on drums and Antoine Guenet on piano and keyboards. And they have taken a lot of liberty with the 9 Hendrix songs they choose to record. Even to the extent that many of them are hardly recognisable anymore. To some extent that has to be praised because of the creativity. On the other hand, if it sounds unfamiliar, why cover it? So I guess it is a double edged knife for me. Musicianship is always tight on the label’s releases. But the rocker in me misses much of the hooks that identify the songs. You have a listen and decide for yourself what you make of it. 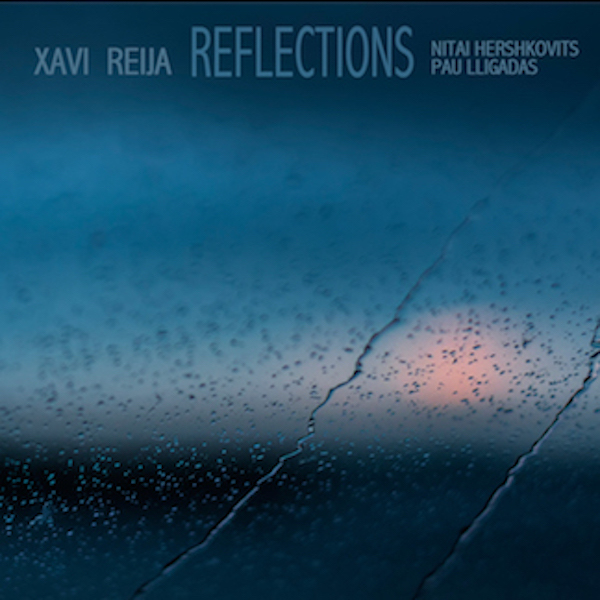 The previous album from Spanish drummer Xavi Reija was one in which he excelled in jazz and free form songs. On his new album he works with New Yorker Nitai Hershkovits on piano and Pau Lligadas on upright bass. And while they both may be young, they already have an impressive curriculum. The result is an album that quite surprised me! And the first hint is that the 11 songs on the disk clock in at just under 40 minutes. Which in comparison to previous output is fairly short. Now, when you start reading the inside text it reads that this is a recording of dance music. Though definitely not in a regular sense. But when you listen to the CD, it becomes clear that there is a certain lightness on offer here. Restrained elegance as it is so aptly described. While there are still parts that remind us we are dealing with virtuoso players who like to experiment and improvise, there is no denying that these songs speak easy to (at least) my ears. So, while a drummer, bassist and pianist are reasonable common in jazz land, this trio have managed to come up with a rather delightful album. Joyous and emotionally charged, living and breathing music performed by authentic musicians. If anything, this proves that music from the heart always reaches out and touches anyone who will listen. Wonderful album. If you take a look at the cover and the title of the album, I am quite sure a lot of you dear readers will already have a clue as to what is on offer here. Yes, this is a re-imagination of the Pink Floyd classic Dark Side Of The Moon. And to top that, this is not a note for note imitation. No, this is a very bold personal interpretation! 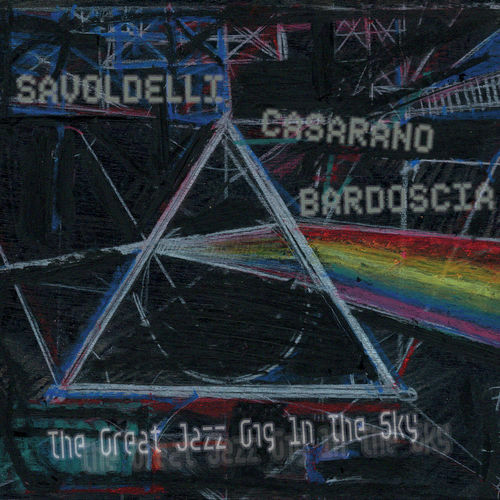 Lead by singer (and electronics handler) Boris Savoldelli, the other main musicians are Raffaele Casarano on saxes and electronics and Marco Bardoscia on double bass and electronics. Guesting are the great Dewa Budjana who plays guitars on Us And Them, WK569 with additional sound manipulation and Maurizio Nobili, reciting. So limited instruments (although the sax and double bass are often featured prominently), lots of electronics and vocals and vocal noises…. And yet, it surprised me how this album grabbed me. Of course, some songs or parts of songs are still recognisable. But should there be anyone on the planet who does not know the original, I am quite sure he would consider this original material. So while I normally am not very fond of tributes and or covers, this is done with style, conviction and a clear view of how to interpret these songs and make them their own. For me an impressive achievement with an album that is considered holy by many. 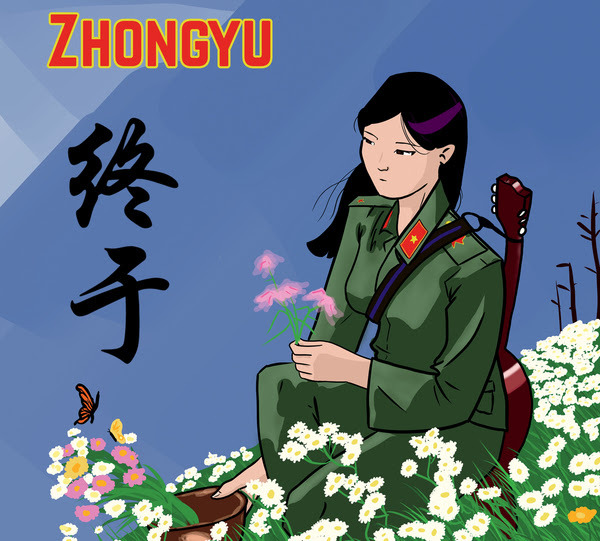 And finally time to write some words on Zhongyu. Okay, that was a play with words, as Zhongyu apparently means finally in Mandarin Chinese. The band is composer Jon Davis (chapman stick, guzheng, mellotron and arp 260), teaming up with 3 members of Moraine, and an experienced jazz drummer. The aim is to balance opposites: composition and improvisation, serenity and chaos, harmony and dissonance as well as simplicity and complexity. Well, one thing is for sure, all those words pass by in your mind when you start listening. Some themes have a distinct Eastern flavour and sometimes you wonder what the heck is happening. So parts of this are easy and beautiful, and at times you are lost without a clue. As often is the case with Moonjune Records releases, this takes time and is not for those looking for an easy fix. 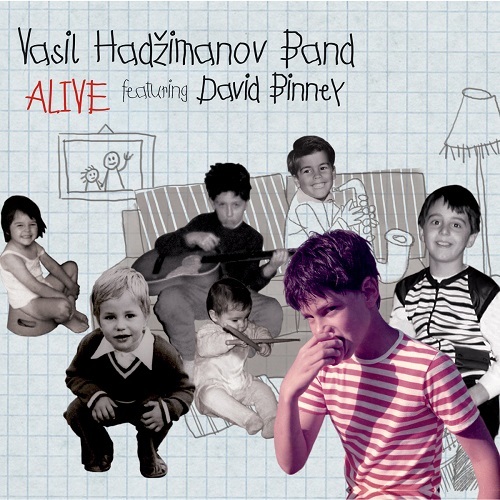 And while on the subject of Moonjune (go check their website for current Celebration offers), here is another release from them, the Vasil Hadzimanov band. I am sorry to say I have never heard of them, and I rarely write about live album either. But since this was an unknown force, I’d reckon I try spent some words on it. When you are familiar with the label, you will have a clue as to what to expect. And indeed, this band is no exception. Instrumental music between Jazz, fusion and a tad of prog, with musicians that all are ace players. But the downside of release like this for me is that the music needs large amounts of time to be able to connect with it. There is a lot of free styled jamming and soloing going on, so for a lot of people this will be hard to digest. Of course there are parts of songs that are based on melodies and groove. Like pieces of songs like Nocturnal Joy or Otkrice Snova for instance. And like I said, the band is terrific, I am sure they impressed every audience they performed for. Which in this case would be during a Serbian tour in 2014. Anyway, lovers of the label or the genre are in for a treat, others should listen in first.